In 2010, Skowhegan began researching more than 200 artworks in our archive. Encompassing the entirety of our history, the archive is a survey of American art—its trends, concerns, materials, movements, and techniques. In summer 2012, Skowhegan opened two exhibitions, one on campus and one in downtown Skowhegan, advertised by the poster pictured below, and featuring a painting of Skowhegan’s original barn by John Udvardy (A ’57), completed when he was a participant. What follows is an email exchange between John and Sarah Workneh that illustrates the importance of the archive as a living history that both captures a moment in time, and has far reaching connections and a life beyond its moment. Poster designed by Nataliya Slinko announcing one of two exhibitions of works from the Skowhegan Archives & featuring the work of John Udvardy. I am one of the co-Directors at the Skowhegan School of Painting & Sculpture. I came to Skowhegan in 2010 and in my time there, we have spent considerable time going through the artworks on campus in Maine. We have identified a really beautiful painting of the old Fresco Barn that you made while on campus in 1957. Over the summer, while the program was in session, we curated a small show of works in the collection to show in the town of Skowhegan, as a way to demystify what we do on campus and to link our history to the area. We made the attached poster for the event, featuring your work. While the initial poster was used in town over the course of 2 days, we would now like to use an image of the poster in our upcoming newsletter (4,100 copies). Before we print on such a large scale I wanted to check with you to see if that is okay with you. It is such a remarkable piece, and a really amazing representation of such an important historical space on campus. This summer I pulled the painting out of the racks to show two curators from the Colby College Museum of Art. Because it is so large and delicate, I didn’t want to put it back without help, so I left it leaning against the racks in the archive. The next day, I was touring Arlene Shechet, who had just arrived as a Visiting Faculty member, around campus. She stopped to look more closely at your piece which was still out from the day before, and was so excited and a little in shock that it was yours! Completely unexpected, and from what I understand you two had lost touch until fairly recently when you wrote a letter to her. Synchronicity! Let me know what you think... and thank you! What a wonderful surprise for me when I opened your letter! As soon as I saw even a small portion of this work—I said to myself OMG that looks exactly like something I might have done! When I saw my name on it, the deja vu and the wonderful sweet memories of it all came flooding back in on me! Believe it or not, but I can almost remember every brush stoke that I made on that piece and recall the wonderful smells and air of that barn. What great times and memories I have of my mind opening experiences and training I encountered during that precious summer time at Skowhegan. Sarah you need not even ask—Of course you may use the work however you wish. I am touched and deeply honored that you wish to extend its life further in this important way, and thank you! If you could be so kind, I would greatly appreciate it if you could please send me a couple of the posters which you had made, and I am on your mailing list. But a few extra Newsletters would be appreciated! Thank you. If you see Arlene Shechet again please give her my love and best wishes and congratulations on being there. She is the best! In an interesting way, with Arlene being there it almost completes another circle for me. Thank you very much Sarah, I cannot tell you how thrilled I am. Maria Elena Gonzaléz, Skowhegan Birch #1, 2012, still from single channel video. The left screen shows the player piano roll made from the pattern on Birchbark found at Skowhegan. The right shows Randolph Herr playing the composition. When John Cage declared that “art is the imitation of nature in her manner of operation,” he was not only drawing on ideas articulated by his predecessors in the field of metaphysics such as the Indian philosopher and art historian Ananda Coomaraswamy and the medieval theologian and philosopher Thomas Aquinas, but he was also attempting to illuminate an aspect of the process in which he ostensibly removed his own hand from the creative process, allowing chance to determine any variety of one’s artistic choices. Cage believed that anthropocentric art and music was trivial, and that beyond individuals, nature herself had an intrinsic expressivity found in elements such as trees, rocks, and water. It is with these ideas in mind that we can reflect on Maria Elena González’s Skowhegan Birch #1, 2012, a multi-disciplinary work in which birch bark forms the blueprint for player piano rolls, and ultimately the music produced by the rolls themselves. The genesis of Skowhegan Birch #1 came from the Cagean notion of allowing artistic choices to manifest by simply deciding which questions to ask, and was born in a moment of synesthetic curiosity in which González wondered how we might better understand the information held within the architecture of the natural world. Could this biological matrix, built on the collective history of evolution and nature’s forward march of time, be translated into a musical vocabulary, and if so, what would that music sound like? In many ways, Skowhegan Birch #1 unlocks this history and gives a sonorous voice and an audible consciousness to the rural Maine landscape. González has long been engaged with memory and architecture in her work, and here instead of creating a socio- political iconographic program used by the artist in the form of her recognizable maps, floor plans, carpets, and sculptural towers, she has instead relinquished dominion of her hand and literally allowed the trees to speak for themselves. While the piece remains a type of mimesis, however unconventional in this format, it shares with much of Cage’s works a clearly established conceptual framework. Skowhegan Birch #1 is aleatory and its sounds vacillate between brief moments of silence and long, cascading polytonal phrases. But cacophony and dissonance become paradoxical concepts here as a chorus of voices, held for centuries within the trees of the forest, are freed from their confines and finally speak out all at once. Liberated from the constraints of conventional elements of music such as time and key signatures, Skowhegan Birch #1 is a symphony of sensorial effluence. The musical result is an uninhibited arrangement of collected sounds that sing with immediacy and abandon. Cage believed that music could sober and quiet the mind, making it susceptible to divine influences and thus open to the fluency of things that come through our senses. Art, he believed, could help us achieve this state. In the end, it is easy to imagine that, having listened to Skowhegan Birch #1, John Cage would have likely smiled impishly and delighted in the sound of nature’s emancipated music. Skowhegan Birch #1, 2012, by Maria Elena González (Skowhegan Governor and F ’05) is included in the exhibition Against the Grain: Wood in Contemporary Art, Craft, and Design, currently on view at the Mint Museum, Charlotte, NC (through January 27, 2013) and traveling to the Museum of Arts and Design, New York (March–June 2013). Marshall N. Price is the Curator of Modern and Contemporary Art at the National Academy Museum, New York. His current exhibition, John Cage: The Sight of Silence, is on view through January 13, 2013. Resident Faculty Artist Dike Blair leading one of 5 slide presentations of images he had collected while visiting exhibitions over the past 10 years. “Every summer is different” is an oft-repeated phrase at Skowhegan and the summer of 2012 was no exception, although it did seem an especially good one. Sarah Workneh and the returning staff noted early on that the 2012 participants were particularly fast out of the gate and exhibited a stronger than usual desire to make collaborative works with a leaning towards performance, and participant organized discussion groups. So things were well along and in great shape by the third weekend in July when the faculty report to the Trustees and Governors at their summer meeting. Perhaps the only thing not in great shape was the faculty itself. Kate Gilmore, Rochelle Feinstein, Virgil Marti, Cauleen Smith, and I all felt slightly confused. Simply put (and I am oversimplifying here), we felt like a faculty without students. Now, all of us are experienced teachers and used to the pedagogic flexibility necessary to teach students and groups of students of varied ages, experience, and talent. But here we had a large number of talented participants, some of whom were already engaged with an art world that has become increasingly professionalized, and most of whom (seemed) to consider Skowhegan a residency rather than a school. Each of us responded with a different approach, and Sarah couldn’t have been more sage in guiding us, but I think I speak for all of us in saying that we would have welcomed a little more definition of what the roles, relationships, and even the interactions should have been between faculty and participants. I attended Skowhegan as a participant in 1974. Skowhegan is remarkable in the ways it has remained consistent, as well as in the ways it has changed. From the standpoint of a framework, the structure of the program has essentially stayed the same, with the magic lying in the particular mix of individual participants and faculty members. In looking at the constellation of art organizations, art education options, residency programs, galleries, museums, alternative venues, and the expanded mobility of emerging artists in gaining/creating access to these opportunities, it seems clear that the experiences of recent faculty and participants at Skowhegan would be partially informed by their experiences in the outside world, and therefore largely different than my own experience 38 years ago. So, if the operating model of Skowhegan is taken for granted—five long-term Residential Faculty, 65 “emerging” visual artists, six Visiting Faculty, formal studio visits, informal events and community—what pedagogical shifts are to be expected in a 66-year old institution that while intentionally removed, exists within a larger system? Perhaps, you understand our confusion. While slightly anxiety inducing—the notion of adjusting a pedagogy to a particular group, in a particular summer, and sometimes on a particular day does allow for a more personalized, and seemingly meaningful, exchange between participants and faculty. Yet, it raises the question of whether or not “openness” and “flexibility” within a set framework is enough of a pedagogy on its own. If that pedagogy is, in fact, the point, then figuring out the goals, priorities, roles, activities, interactions that set that base framework is likely where the adjustment to the program in a long-term sense should lie. Over the summer, the pedagogy and the framework were constantly butting up against each other—some of it from each player retaining an expectation that this experience would replicate some of the known roles and hierarchies of school-student, faculty-participant and some of it from not knowing how in this particular place those relationships would function differently. Clearly the participants and faculty had many meaningful interactions and next year’s faculty may have few of the questions or issues that we had last summer, but as with any institution that has the benefit of a founding vision and a long history, it seems important to engage in a discussion about the intended relationship between participants and faculty and revisit the definition of Skowhegan’s mission relative to the framework and the pedagogy in a contemporary context. If the day-to-day methodology is responsive, explicating the framework for where that flexibility is rooted seems critical. So, in the spirit of Skowhegan’s history as a school run for artists by artists it seemed not an uninteresting thing to poll a few of its most recent artists—last summer’s participants—about their experiences relative to these issues. Jesus Benavente, Ash Ferlito, Park McArthur, Ian Page, and Marisa Williamson were extremely generous with their time and thoughts, and what follows is an abbreviated version of what they sent me in response to my questions. What were your preconceptions about Skowhegan in terms of it being more of a residency, more of a school, or a combination of the two? Jesus Benavente: I always thought of Skowhegan as a residency. I knew the word School was in the title, but it was usually just referred to as Skowhegan. Ash Ferlito: I thought of it as a hybrid, perhaps retaining its moniker from another time. I didn’t specifically think about the dynamic or format of school versus residency, but got a clear sense from friends, acquaintances, and alumni with whom I’d spoken of the importance—maybe above all other things—of the relationships I would have the opportunity to make. Park McArthur: I imagined Skowhegan to be a residency experience with a lot of alone time for individual work, and with an emphasis on studio visits as a pedagogical and networking tool. Ian Page: I had not even considered that Skowhegan was a school. The people I know who had gone previously never referred to it as school, nor did they mention there was a faculty. Marisa Williamson: I thought of Skowhegan as a residency. Skowhegan is very different from graduate school. Graduate school is rigorous because you get evaluated, there are critique classes, there is a sense of competition and urgency. Skowhegan is rigorous maybe because none of those things exist and people are forced to burrow very deep into their practice and into themselves, without worldly interruptions. Do you think we might have been—consciously or not—part of a broader definition of what a “school” could or should be? Do you think that kind of negotiation should be considered part of Skowhegan’s charter? JB: I’ve always thought of school as being a structurally restricted form of learning. While I do think that Skowhegan has a structure... I don’t know if I would call that structure a school. It is not a grad program that pushes a dogma; it’s not an undergrad program that introduces you to the basics. It is more an opportunity to take something we know and do something different with it. AF: I felt a tremendous sense of freedom, a spirit of collaboration and much encouragement to extend my ideas and to make use of the available resources at Skowhegan. I felt really lucky to be there, like I was a part of something special. I wish grad school had had the same tone. PMcA: I do believe Skowhegan’s charter should state more clearly its pedagogical framework. For example, the switch from “student” to “participant” signaled a change in mission from being a school to becoming more of a professional development opportunity. While the residency’s name remains “School of Painting and Sculpture” (signaling the residency’s history), the title does not note all of the ways the residency has changed in keeping with contemporary art in general: majority interdisciplinary practices, majority digital tools and techniques, and an emphasis on socializing rather than classroom time. IP: Skowhegan more closely approaches what I would want out of a school, in that the guidance is optional and the forward momentum is self-disciplined and comes out of a respect, anxiety, enthusiasm, and collaboration for everyone involved, not out of competition. Personally, I gather that each generation manages to define a lot for itself and that any charter is best left vague, as far as benefiting the participants goes. It may be a nice thing to review on behalf of the faculty, who were seemingly confused about their role in relationship to a quasi-autonomously developing momentum with well enough established thinkers. Overall, putting any more strictures or formal aspects onto the experience is something I wouldn’t want. MW: If Skowhegan wants to actively redefine school to include the sense of immersion—that would be good. But it should also be clear that there are no significant requirements or formal academic structures. Even the studio visits sometimes felt like afterthoughts. While some of those visits were incredibly important to me, they didn’t feel like school in the same way that having group critiques would have. What were your expectations in terms of “faculty” and instruction? Were you satisfied with the formal studio visits? If not, how do you think things might be arranged differently? JB: It seems the word faculty is used in much the same way as school. Faculty definitely isn’t the right word. What is? Crazy Uncle? Annoying Sister, the one who points out all your mistakes? I never felt I was in a teacher/student relationship, we were faculty/participant. The faculty didn’t really behave like teachers in that a teacher is someone who comes and goes. You don’t form real attachments to students because the next batch arrives the next semester. At Skowhegan, you have the summer, 9 weeks without any escape. The faculty is there and they cannot escape you and you cannot escape them. We are all forced to see each other beyond the rudimentary concepts of teacher/student. AF: Going in I was excited to receive feedback from the faculty, but I was not anticipating any instruction or pedagogy. The formal studio visits were not disappointing, but from the onset they seemed to carry an anxiety about their intention or purpose. I participated in a one-time experimental all-faculty group crit that took on a surprisingly academic tone and was far less productive than the participant-run weekend critiques, which had a workshop vibe and felt supportive and honest. IP: I had never really used the term “studio visit” before coming to Skowhegan and I had never before formally met with someone I didn’t know to talk about my work. Simply put, I had no preconceptions about the visits. Looking back, I really wanted to be challenged and to have to defend myself in the studio visits. That never happened, but in many ways I appreciate the transference of energy that came with someone who is doing well acknowledging that I am doing pretty okay myself. I do wish I’d asked more of the simple questions, like “What tricks do you know?” and “What eternal truths have you discovered?” Perhaps I didn’t ask those questions because of the distance created by formal studio visits. MW: I don’t know how the studio visit system could be changed. It wasn’t a terrible system, but it sometimes felt arbitrary. I’d imagined in advance of going to Skowhegan that there would be formal critique sessions and there weren’t. I feel like mandatory, but relaxed, group critiques would be a nice way to get to know other participants work better. About faculty—my expectations were met. It was a good mix. I think every participant would say they had someone they loved and someone that drove them nuts. And, I think that’s perfect. The studio visits with the staff were also great. Do you think a faculty (or full-summer, artists-in-residence) is a good thing? Would a greater variety of temporary artists-in-residence be preferable? If so, would you formalize interactions between participants and artists-in-residence? JB: I think that full-time, always there, sharing a meal with you faculty is very important. I think having the visiting artists stay a little longer would be great, and very much in the spirit of Skowhegan. AF: I think having long-term resident faculty is a good thing. Ideally I think the same bonding, collaboration, access and support that happens between participants should especially happen between faculty and participants. I think that reducing the distance between people who have only made art for a few years with those who are heavy hitters in the game is an incredibly powerful thing. I think the benefits of Skowhegan should have far-reaching benefits off-campus and possibly have positive repercussions in the art world at large—a faculty in residence helps enable that. IP: I think having a full-time faculty is an excellent thing. While I’m not a particular fan of the “top-down” kind of critique, I did find a lot of personal resolution resulted from those critiques. I liked the protocol of formalizing the visits in the first half of the summer and then making them voluntary. PMcA: I think a full-time faculty is a great thing. The main reason I came to Skowhegan was for this intergenerational experience. It is rare for emerging artists to work alongside with those who are established. I believe it is very important to formalize interactions, as some participants may be shy or reticent to solicit visits and, secondly, dinner parties and receptions are weighted heavily towards extroverts and may not make space for those who share and make connections differently. MW: I think the full-summer faculty is completely necessary. I would not change that setup at all. I liked the visiting artists, but having a “core family” of participants and faculty seems essential to the experience. Dike Blair is a painter and sculptor who lives in NYC. He attended Skowhegan in 1974. He teaches at the Rhode Island School of Design. Jesus Benavente works in many media. He is currently working on an MFA at Rutgers University. Ash Ferlito is a painter and multi-media artist who lives in Brooklyn. She received an MFA from Tyler School of Art in 2011. Park McArthur makes text-based work and lives in NYC. She received an MFA from University of Miami in 2009 and attended the Whitney Independent Study Program 2010-2012. Ian Page is a video, installation, sculpture, and performance artist. He received a BA in Cinema and Latin Literature from Oberlin in 2008. He lives in Los Angeles, CA. Marisa Williamson works in video and other media. She is in her second year of the CalArts MFA program and lives in Los Angeles, CA. The original Black Lunch Table discussion at Skowhegan in 2005. Heather Hart (A ’05), Steffani Jemison (A ’08), and Jina Valentine (A ’05) are planning a new tableau for a collection not yet acquired. Entitled The Present Classification, this project will assume the formats of exhibition and live performance. But what exactly is a collection? How to define the parameters of a finite set? Do we define the characteristics of the collection in advance of its actual acquisition, then accept only those objects that qualify? Or do we determine the character of the collection by afterwards assessing the unifying traits of things amassed? The foundational principles we have established for The Present Classification reflect our collective interests. The intersection of two independent projects, and three individual “collectors” set the parameters for the proposed collection. These principles also frame a specific discussion that we, the proposed “collectors,” have the agency to define. The collection will comprise in various formats the sum of: a. text art b. submissions from Black artists c. submissions from Skowhegan alumni. To further prescribe the parameters of The Present Classification is to imagine the character of the would-be collection in advance of its actual acquisition. On one hand, predetermination risks precluding the chance serendipitous submission. On the other hand, leaving the structure entirely flexible surrenders much of the impulse for creating a collection to the collective character of the objects themselves. We suspect that undertaking this project will require a bit of both methods: first drafting a wish list (of letter and of litter, of color and spatter, of spit and spam, of concepts and collapse) then negotiating the results. The collection would consist of text-based contributions from Black Skowhegan alumni. It might be composed of rather diverse forms of text-art and text-artifact—like paintings and prints, diary and sketchbook notes, t-shirts and buttons, playbills and receipts. Via the new tableau, these seemingly incongruous items—a cross section of sentimental detritus and fine art work—can be provisionally, if temporarily, linked through the identity of its producers and the connections made through the objects themselves. How do we set about attaining these objects? Do we present an open call to all Black, living alumni of Skowhegan to submit text-based works and objects? The success of such a query would depend on potential group constituents identifying themselves as such and mobilizing towards a collective identity. As with drafting parameters for the collection of objects, the alternative method for casting The Present Classification (the corpus) would be to individually solicit potential members. The paradoxical relationship between the collection and its constituents (and between the collective and its constituents) has been exhaustively explored, recently by such diverse scholars as literary theorist Susan Stewart and political philosopher Giorgio Agamben. One of the most compelling discussions appears in the Deleuze and Guattari opus A Thousand Plateaus, wherein the formula N–1 is used to evoke the individual’s power to escape the collective that contains it: “The only way the one belongs to the multiple: always subtracted.” Here, N represents the whole, and 1 is a part dependent on the larger collection for its identity. The collection subsumes the singular object into its totality; as a result, the object’s material history is suspended as the object is placed into a greater, atemporal narrative. Within the collection, all things accumulated are reclassified by their association to one another, providing a view of the forest despite the trees. A Future Plan and Program publication. Cover Design: Nikki Pressley. In 2005 Heather Hart and Jina Valentine organized a performance event entitled The Black Lunch Table—a precedent for The Present Classification. The impetus for this event was their wonderment over the lack of any such table at Skowhegan’s daily group lunches. Together they decided whom they should invite to sit with them for one particular afternoon lunch. In curating the group of participants, Hart and Valentine did some guess-work, inviting as well those artists they thought might identify as Black. Those invited included other residents of African descent, the then director and dean, and several visiting artists. At the table, they discussed issues of being Black in the art world, issues of otherness in general, their individual relationships with actual and metaphorical Black lunch tables in grade school and higher education… and of course the irony of having these discussions at an invitation only all-Black lunch table. The hyper-classification, by way of self-segregation, of Skowhegan’s Black residents functioned to both create a forum for topics discussed informally at other occasions, and highlight the fact that no such grouping of like-skinned people had naturally occurred thus far. Within that group of people, subsets included a. those not actually of African descent b. vegetarians c. those pending graduate review d. those whose work explicitly addressed issues of race e. self-identifying as post-Black f. included in the present classification. In 2010 Steffani Jemison organized Future Plan and Program (FPP), a provisional publishing project featuring newly commissioned literary works by visual artists of color. FPP has published texts by Skowhegan alumni including Jemison, Valentine, and Jamal Cyrus (A ’10). Like Valentine and Hart’s Black Lunch Table, FPP, as a curatorial initiative, possesses a clear set of overlapping objectives: first, to create a new publication and presentation opportunities for artists of color; and second, to provide a context for conversation about orality and literacy, writing and transcribing, poetics and performance, that is informed by the authors’ experiences as artists of color. These authors share a number of characteristics: each maintains an active visual arts practice, each is a person of color, and each is connected to a larger network of artists of which Jemison is also a member. The authors all address issues of race, autobiography, and “otherness” with varying degrees of conspicuousness. Moreover, similarities in style, humor, and tone, as well as overlaps in subject matter and external references, connect their work. As a result of their involvement with FPP, the authors frequently have the opportunity to perform, read, and exhibit together, further strengthening their creative ties and mutual influence. Finally, the authors share a conviction that writing non-fiction as a form of art and cultural theory challenges the perceived roles of practicing visual artists. As a precedent for The Present Classification, FPP likewise creates a tableau upon which seemingly disparate works and artistic pursuits might be considered as interdependent parts of a common narrative. FPP’s corpus is composed of a. former and future bookstore owners b. thespians c. those questioning the meaning of “of color” d. perennial students and teachers e. ones that from a long way off look like flies f. included in the present classification. Neither the Black Lunch Table nor Future Plan and Program intend to create new parameters for classification; as with The Present Classification, we work exclusively within frameworks already existent. 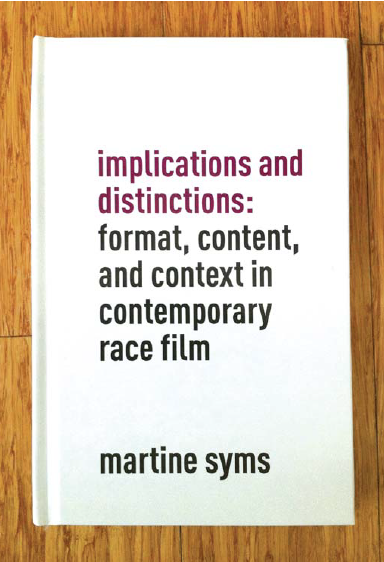 These projects simply serve as tableau upon which to make these social divisions visible: a. artists “of color” b. those embraced as radical-chic c. the marginal d. relevant to the larger art-historical narrative e. outsiders f. included in the present classification. Ideally classifying systems derive from the unique interdependence of objects within a specific collection, which constitute its overall character. Accordingly, the classification of stuff within any specific collection will be singular and inapplicable to any other collection. In “Preface” to The Order of Things, Michel Foucault wonders at the physical impossibility of a meeting ground for all these classified creatures and marvels that perhaps such a space exists only within a space created by language. Within the space of narrative, list, or fantastical description, the dis/similar find common ground and therein find their commonality. In fact, such a locus exists within this very text, wherein the concepts uniting disparate elements form a structure, a meeting ground for their coexistence. The meeting ground can occupy a physical as well as discursive space. The first step in creating The Present Classification is both. We, “the collectors” propose a one-afternoon reenactment of The Black Lunch Table, during which participants would eat, discuss, and restage, in an expanded format, the 2005 event. Thereafter, the participants would be charged with the task of divining a common narrative out of the objects collected through submissions (including their own objects). Rather than curating the exhibition on the basis of an artistic statement or determining theoretical missive, The Present Classification seeks to let the works self-order within the rather broad grouping of “text art by Black alumni of Skowhegan.” Of course, this process of ordering and contextualizing texts will be a critical part of the success of the overall exhibition, and that those able to attend the Lunch Table will be charged with scripting a new narrative. Heather Hart makes installations that you should touch. She attended Skowhegan in 2005 and received her MFA from Rutgers in 2008. She lives and works in Brooklyn. Steffani Jemison works in many media. She is a 2012-2013 artist-in-residence at the Studio Museum in Harlem. Jina Valentine works with text and collage. She attended Skowhegan in 2005, received her MFA from Stanford University in 2009, and currently teaches at UNC Chapel Hill.